Click the button below to add the OMG Baby's Bottom to your wish list. Some Dr. Mom came up with the idea of combining coconut oil with black seed oil to apply to baby rashes like eczema, impetigo, cradle cap and diaper rash. These are all caused by Candida overgrowth. Both black seed and coconut oils kill Candida. Combining the two gives a product that kills the critters without being irritating to the skin. I just had to find the right combination. This product is NOT JUST FOR BABIES! Apply it to dry, cracked heels, use it as a night "cream" or for oil pulling, or apply it to dry skin. Use it any place on the body that you want to feel like "a baby's bottom." Our grandbaby's bottom had been so broken out with rash and broken skin. The doctor had her mother using steroid creams and other prescription ointments, but nothing helped for long. I gave some OMG Baby's Bottom to her mother to try and by the next morning the baby's bottom was so much better. We use it several times throughout the day to help her stay clear. I used this product on my dry cracked feet. OMG... it is amazing! 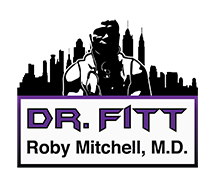 Thank You Dr Roby!